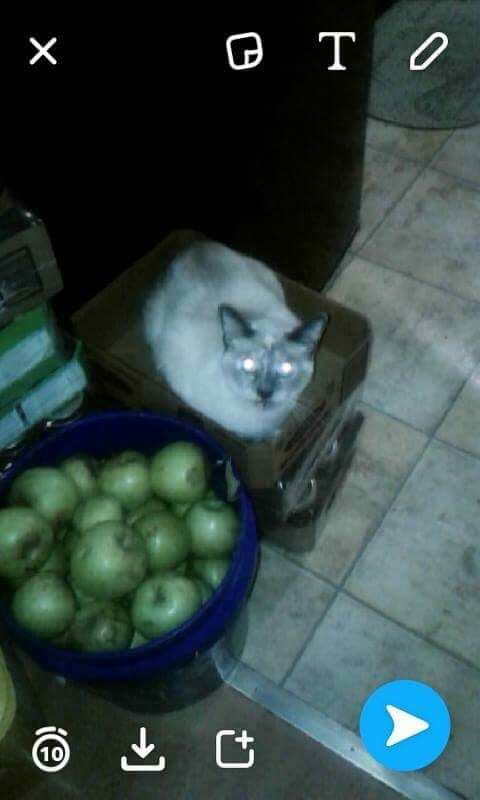 Cat in a box Guarding apples. My grandie girl took this with her phone and Chloe’s Eyes didn’t take too well. She has the most beautiful pale blue eyes. Chloe is beautiful and guarding those apples just fine! Thank you! she is a skittish baby and very particular. It was funny to see her in the box.